Recently listed MT Educare Ltd (BSE: 534312, NSE: MTEDUCARE) on Monday, 16th April 2012, witnessed large deals, as revealed by National Stock Exchange data published after trading hours. While the noted FII, Merrill Lynch Capital Markets Espana SA SV, sold off nearly 3.01 lakh shares, well-known individual investor, Ashish Kacholia bought 3 lakh shares. Each deal amounts to 0.76% of the Mumbai based education company that operates the brand, Mahesh Tutorials, and was worth Rs. 3 crore each. While Merrill Lynch’s sell was at Rs. 99.55 a share, Ashish Kacholia’s buying price was at Rs. 99.46 a share. Ashish Kacholia has been the co-founder and Director of leading digital entertainment company, Hungama Digital Media Entertainment Pvt. Ltd. Ashish is also known for his business connections with India’s best known individual investor, Rakesh Jhunjhunwala. Ashish co-founded Hungama in 1999, together with Neeraj Roy who is its current MD & CEO, Hiren Ved, Lashit Sanghvi, and Rakesh Jhunjhunwala who is the current Chairman. Apart from unlisted Hungama, Ashish Kacholia holds 1-3% stakes in listed companies including Greenply Industries, Kaveri Seed Company, and Marg. 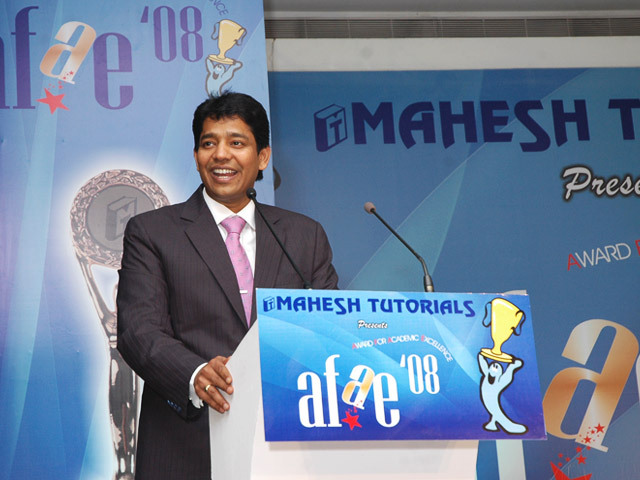 An experienced hand in Indian stock market, Ashish Kacholia was formerly with Edelweiss and Prime Securities, and later moved on to Lucky Securities where he is Director - Research. Ashish, who is an engineer by basic qualification is also an MBA from Jamnalal Bajaj Institute, and also works as an independent portfolio manager for HNIs. Incidentally, StockExplain had reported recently that noted academician-investor Prof. Shivanand Shankar Mankekar, who is a senior management faculty at Bajaj, had bought 2.25% of MT Educare on the listing day. On Monday, the third day after its listing, MT Educare failed to close on Upper Circuit, as it had done on the first two days. Though the scrip could close up by 3.74%, the break in UC and sell by institutional investors like Merrill Lynch is signalling that it won’t be a one-way street for the scrip from now on. The expected Upper Circuit on Monday was due to the high oversubscription in its IPO, as well as the scrip currently trading in the Trade-to-Trade Segment, as per the updated rules for newly listed companies. Under this arrangement no day trading or netting of positions are allowed, and all trades are on a delivery basis. This arrangement would continue for 7 more days now. But the selling that emerged today is only natural, as at Merrill Lynch’s sell price of Rs. 99.55, the scrip was already up by nearly 25% from the IPO price of Rs. 80, which in itself was said to be a stiff valuation for the education company whose mainstay is providing third-party tuitions to high-school and pre-university students. The main selling point of MT Educare during the IPO was that, its main brand, Mahesh Tutorials, could coach 58,300 students in FY’11 with an average revenue of Rs. 18,400 per student, which is higher than most of its peers.